By Muffin and Puffin & Mollie! When Jess asked about collaborating for a photoshoot cake-smash I was delighted. 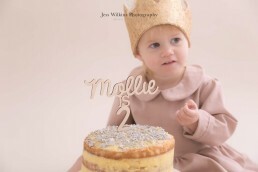 It was the perfect timing to mark a milestone birthday, Mollie turning 2 and also gave me an opportunity to bring some local businesses together to celebrate one another, support one another and share some hopefully wonderful content. Knowing Jess as I do, I wasn’t worried or nervous in the slightest, she has a very calming nature and I knew that Mollie, while I couldn’t guarantee pose perfection, wouldn’t feel anything other than calm and happy in her studio. We pulled up with cake and outfits and went straight into her perfect little studio. White, calm, beautiful, natural props and a tiny delicate rail of beautiful baby clothes (how I wish we had come to Jess when Mollie was a few days old!) A little slice of studio heaven. A quick outfit change later into a piece made specially by the very talented Little Dottie Designs and she was back into pose mode… gleefully knocking over the TWO props and delicately eating all the sprinkles from the cake. 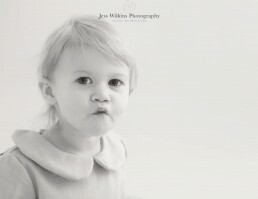 Jess gave no direction; the whole experience was led by Mollie with me guiding her for a few of the shots. We stopped when she stopped, and Jess shot when she was happily eating her Little Cake Company cake (topped beautifully by the topper from the talented Vellamaes) and we also took some fun time-lapse videos from #bts. 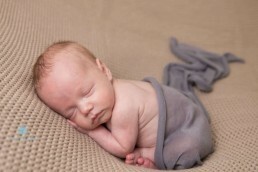 In under an hour it felt that it came to a natural end as there had been no incidents, meltdowns or tears… Mollie truly enjoyed the experience as did I. I have threatened to come back weekly for Jess’ calming influence over my little whirlwind of a toddler. 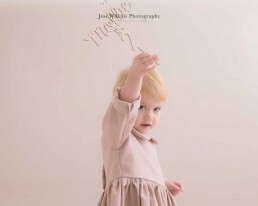 I cannot recommend Jess enough, she’s a mama herself and she just ‘gets it’ she was efficient without being bossy, she was calm without being airy and it felt more like a playdate than a studio shoot. There’s not much point waxing lyrical about the final shots – I think they speak for themselves. Jess can we come back for every birthday? 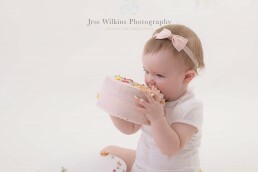 Seriously Cute Cake Smashes Make the Perfect Pictures!